Autumn is an amazing time to get out and enjoy the fantastic, free open spaces that Hertfordshire has to offer. As the days get shorter and the air gets crisper, see the leaves turn beautiful shades of oranges, reds and browns. ParksHerts can help you to find the perfect day out in Hertfordshire’s woodland parks. We’ve put together a list of some of the best places to enjoy the autumn whether it be rain or shine, across the county. Bishop’s Wood Country Park is an ancient semi-natural woodland with plenty of potential for exploration. Located close to Mount Vernon Hospital near Northwood, the wood is filled with wildlife in addition to walking routes to suit all abilities. For more information, visit the Bishop’s Wood page here. Broxbourne and Bencroft Woods is a great place to take the family. The easy access sculpture trail is perfect to give the little ones a run about, whilst those wanting a more challenging walk can link into the 18km National Nature Reserve Trail. For more information, visit the Broxbourne and Bencroft Woods page here. Chipperfield Common is the heart of Chipperfield Village. It’s woodland has established on heath land which was grazed by local people up until the 1930’s. See if you can find the ancient burial mounds as you take a walk. For more information, visit the Chipperfield Common page here. Pishiobury Park on the outskirts of Sawbridgeworth is an ancient site with plenty to discover ranging from wetland to ancient trees. The largest wooded area can be found on the northeast boundary. For more information, visit the Pishiobury Park page here. Bricket Wood Common offers a haven of untouched nature in contrast to the surrounding urban areas of Bricket Wood and Garston. The area has a range of habitats to enjoy, including woodland. For more information, visit the Bricket Wood Common page here. Chells District Park in Stevenage contains a hidden gem – Lantern Lane/Elm Green Wood is a six hectare area of woodland with pathways for a quick break from watching the footy! For more information, visit the Chells District Park page here. Furzefield Woods in Potters Bar has been managed as a coppice for over 300 years. Enjoy our 1.7km walk around the woods and into the meadow at Lower Halfpenny Bottom. For more information, visit the Furzefield page here. Cassiobury Park in Watford really has something for everyone including Whippendell Wood, which is home to numerous walking routes. Stop at the Cha Cha Café after your walk to warm up with a hot cup of coffee. 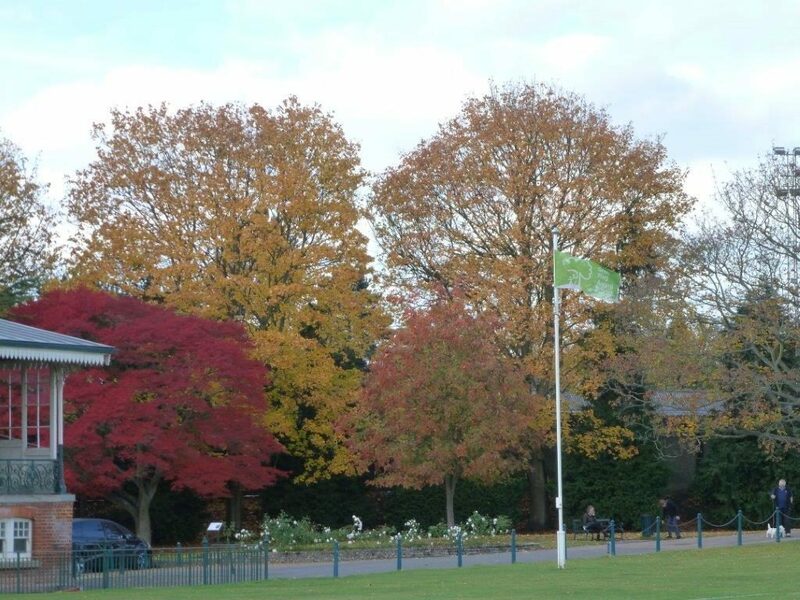 For more information, visit the Cassiobury Park page here. These a just a few options to get you started. For loads more simply use the woodland filter on the Parks page and start enjoying amazing autumn!